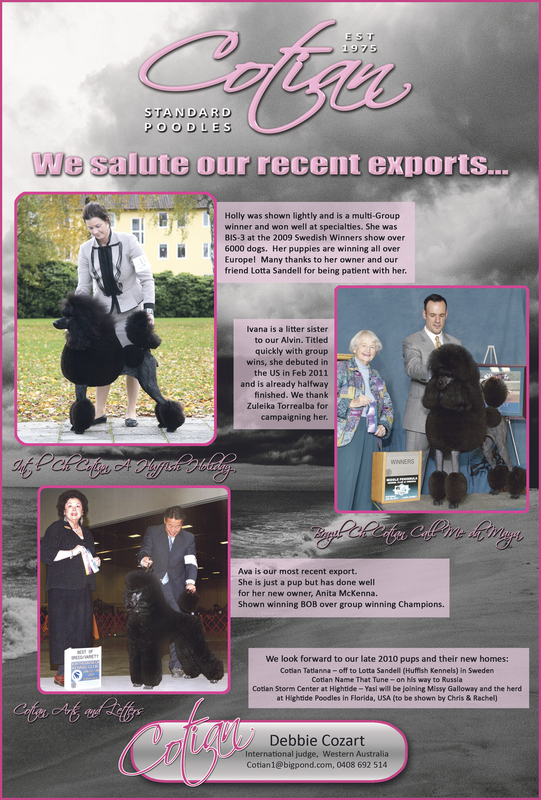 This is another AD that was put in the Australian Dog Magazine the other week. This is a result of working together around the world. Debbie Cozart in Australia together with Zuleika Torrealba, Brazil/USA, Chris and Rachel in USA and myself from Sweden. We are also looking forward to continue our success together and we will soon have a new Australian lady here, Cotian Tatianna “Tia”. She is planned to get to Sweden in April 2011. Thanks to Debbie Cozart for letting us have this opportunity again. ← Thanks Zuleika and Chris & Rachel!